10th June 1934 - Italy win the second ever FIFA World Cup 2-1 after extra time against Czechoslovakia with a side featuring the likes of Giuseppe Meazza. However, FIFA were still not representing the World as a governing body as nations like England and their Football Association had fallen out with FIFA pre-1930 and the first World Cup. 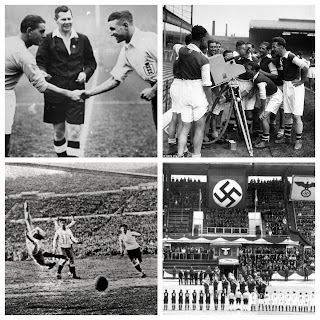 Come 14th November 1934 it was time for what the English press were calling the “real” World Cup final between the official World Champions and the long acknowledged best team in Europe. Not only was this game billed as a titanic clash on the pitch but it was also a political minefield off it with fascist dictator Benito Mussolini ruling Italy. Il Duce was so keen to win that he was rumored to have offered his countrymen an Alfa Romeo and £150 (in old money) if they beat the English. 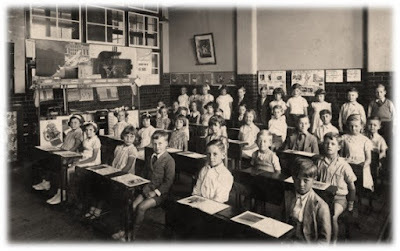 England lined up with an inexperienced squad, every player with fewer than 10 caps, a young Stanley Matthews making his second national team appearance. It was also the first time (and only time since) that 7 players started all from the same club, Arsenal, having home ground advantage. 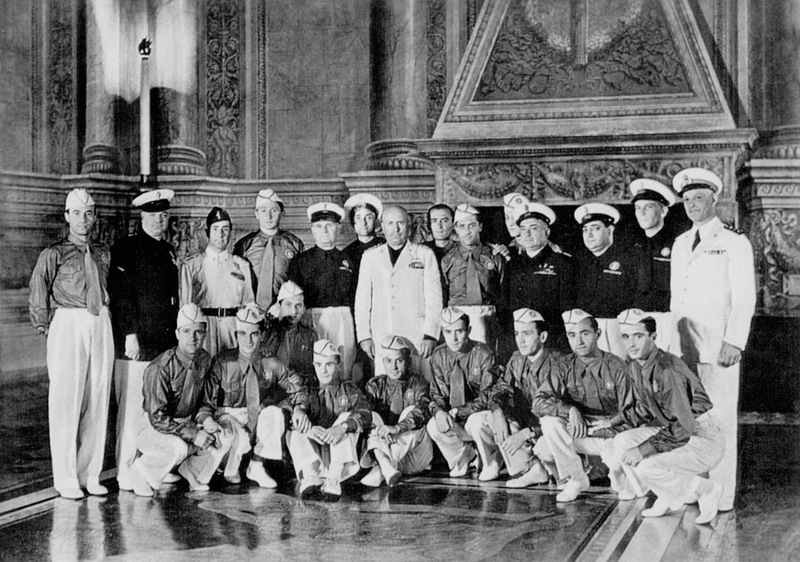 Italy, unlike England (who were selected by a committee), were aided by a permanent coach named Vittorio Pozzo. A man who is the only coach to have won back to back World Cups (soon to be challenged by Vincente Del Bosque next summer in Brazil) as well as 2 Central European International Cups and an Olympic Gold medal in 1936. Pozzo known as Il Vecchio Maestro (The Old Master) led his side on an unbeaten run from December 1934-1939. 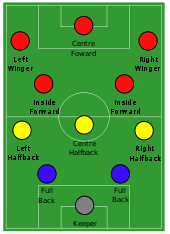 (On a big tangent) Pozzo is known to have developed the Metodo (2-3-2-3) formation, based on half-backs and being supported by the two inside forwards creating in effect a 5 man midfield, strong defensively but also on the counter attack offensively. This is the formation developed and adapted by Pep Guardiola’s Barcelona with Busquets, Alves and the various left backs playing the ‘half back’ role and Xavi and Iniesta the ‘inside forward’ role (seen closer on the second image below). The first 45 were incredibly fiery with Ted Drake breaking the foot of Italian Centre Half Luis Monti after only two minutes, with no substitutions allowed in those days Italy were forced to play the rest of the game with 10 men. The Italians felt the injury to Monti was deliberate so set out for revenge, turning the match into a blood bath. England saw injuries to Ray Bowden (ankle), Jack Barker (hand), Ted Drake (leg and a punch), Eric Brook (broken arm) and to Captain Eddie Hapgood who broke his nose and had to depart the field for 15 minutes. However, the football was a different story as England dominated. Eric Brook missed a penalty in the first minute after a foul from Italian keeper Carlo Ceresoli who promptly save the spot kick. Brook redeemed for himself only 2 minutes later as Cliff Britton floated in a free kick which Brook headed home and then added to with a free kick of his own after 10 minutes. Debutant Ted Drake, who was already more than involved, made it 3-0 in the twelfth minute as a 10 man England (Hapgood off the pitch for treatment) attacked down the right and the centre forward finished the move off to cap an eventful first 15 minutes! The Azzurri settled into the second half and despite their man disadvantage began to play like the World Champions. Italy had the beginnings of a great partnership between Giovanni Ferrari and more notably Giuseppe Meazza whose 35 international goals have only been topped by Luigi Riva. Meazza, whom the San Siro is officially named after when Inter play at home, scored his first after 58 minutes, created by Enrique Guaita. His second came only four minutes later when he headed home from Attilio Ferrari’s free kick and suddenly it was very much ‘game on’! Unfortunately for the Italians it seemed everything was against them as Meazza struck the cross bar and England goal keeper Frank Moss pulled off some incredible saves to hang onto the lead. 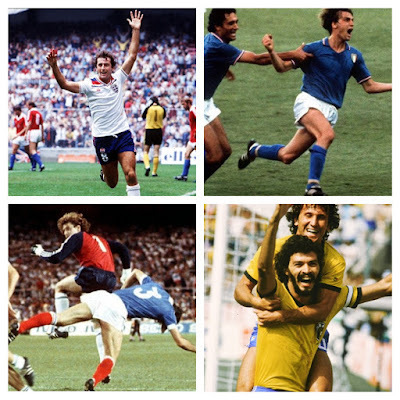 England had beaten Italy but who was superior? Well that was not really decided, the Italians, dubbed “The Lions of Highbury” gained everyone’s respect by playing 88 minutes with 10 men and almost getting back into the game. The Football Association and British press were enraged though at the violent treatment of their players, leading calls for England to withdraw from internationals altogether. The Guardian reported how a player said “It was not a game of football, it was a battle” and ran editorials with public and footballing opinions on what they had witnessed. Italy would go on to dominate the 1930s but one thing is for certain, no one would forget the Battle of Highbury for many decades to come!